Most couples have a special piece of music that means something to them, many have it played for their first dance. 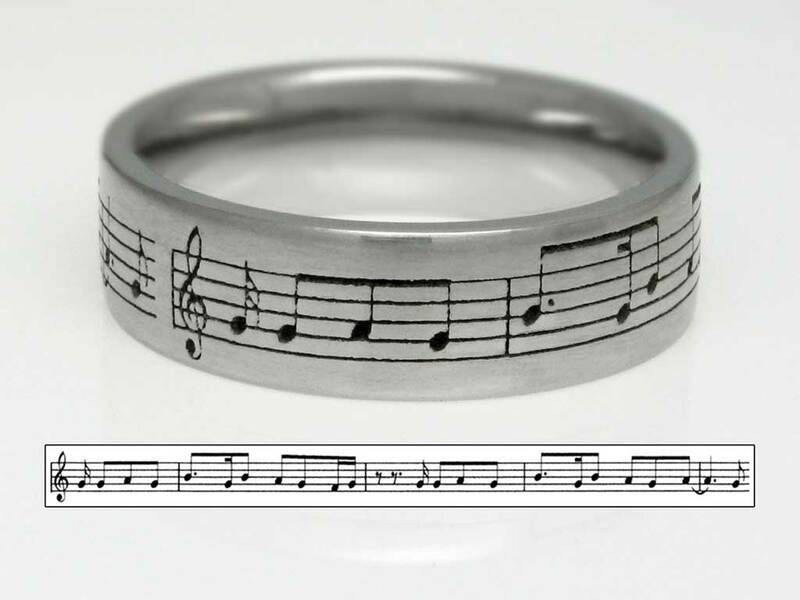 This groom went one further and had it laser engraved around his wedding ring. Laser engraving offers an incredible degree of detail and flexibility and allows couples to express their individuality in ways which have only recently become possible. Free your imagination and have anything from fingerprints, poetry or artwork laser engraved onto or inside your wedding rings. For more pictures visit my Laser Engraving album on Facebook at IM Jewellery or for information on handmade, bespoke jewellery or re melting your old sentimental gold into something special for your big day please call Ian Mortimore on 01629 636826 or visit imjewellery.com.